No any shed fur and keep a clean home. Blue comb-teeth for grooming long hair pets. Removes mats and tangles gently. Yellow comb-teeth for grooming small short hair pets such as cats, dogs and rabbits. 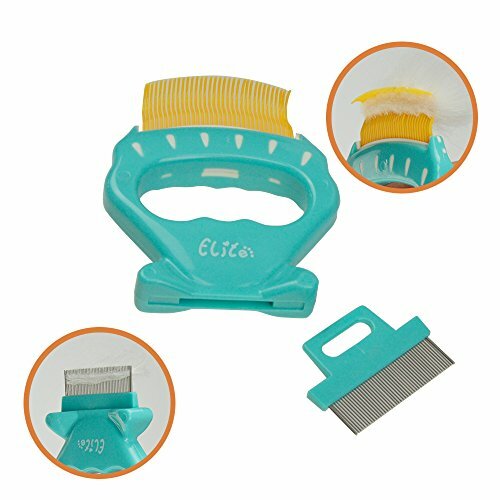 Brown comb-teeth for general grooming and removal of undercoat of both short hair and long-hair pets, especial for hair changing period pet. Silver stainless steel comb-teeth for tear stain removal, clean pet eye gunk and keep eyes healthy. All teeth have tapered ends and no worry of scratching pets' skin. If you have any questions about this product by Ihomiong, contact us by completing and submitting the form below. If you are looking for a specif part number, please include it with your message.